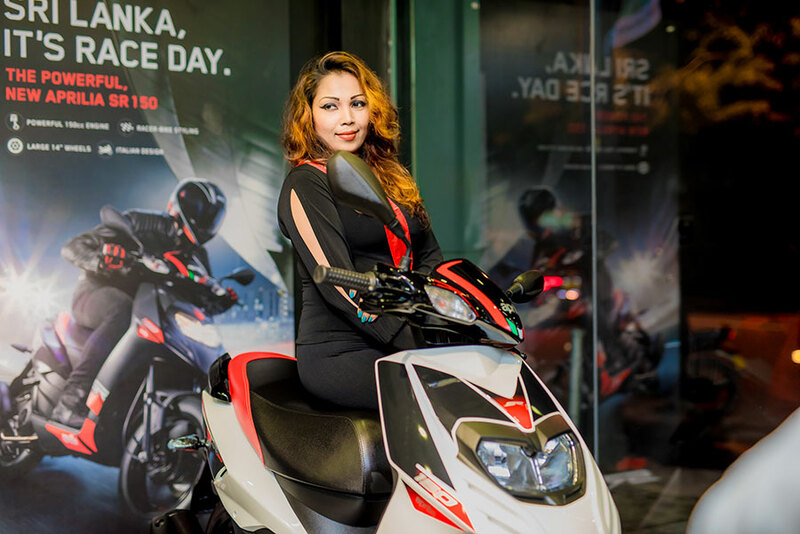 Piaggio Group has announced the launch of its premium and innovative brands Vespa and Aprilia SR 150 in Sri Lanka, Symbolizing elegance, sophistication and style. Vespa is a timeless icon which is classy and irreverent on the other hand, the Aprilia bikes are known for their undisputed racing heritage and are amongst the most technologically advanced bikes in the market. Premium to the core these Piaggio brands represent the Italian style and deliver the unmatched riding experience through technology and performance. Sri Lankan youth is aspiring to own and experience the international, premium and performance brands. With its distinctive, innovative brands Italian premium two wheeler manufacturer Piaggio aims to replicate the Indian success story in the Sri Lankan market serving the emerging need of the aspiring youth of Lanka catering to the desires of the biking enthusiasts, imparting uniqueness and creating a differentiated image to its riders. Both Aprilia and Vespa have created a benchmark in the two-wheeler segment in India and now the bikes are set to make their debut in Sri Lanka. It is indeed a matter of pride for the Piaggio Group that our marquee products will be available in a new market like Sri Lanka. We hope to further enhance our positioning in the Indian Sub-Continent with this launch. The accolades that the bikes have received in India and other International markets, are an inspiration for introducing more innovative products in the future.